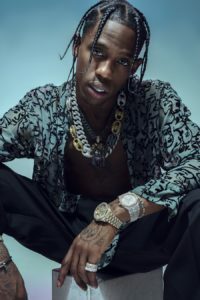 Travis Scott is known for his dark beats and gloomy atmosphere so making him the artist of the week during Halloween was an obvious choice. DJ Bhav the Sav and DJ Brotha Ace agreed that his best album to date was Rodeo, DJ Bimma however claimed his favourite would have to be his newest one Birds in The Trap Sing McKnight. Songs that stood out were Antidote, 90210 and goosebumps. “Beach House”, Ty Dolla $igns newest album is going to give autumn 2017 that summer feeling even with these cold temperatures. 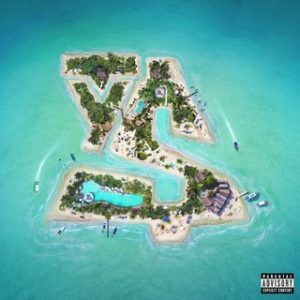 This album has that classic summertime sound that we expect from Ty Dolla $ign and the whole host of features on the album such as Future, Tory Lanez and YG. Ty Dolla $ign has for the most part been known as a ‘feature artist’. Meaning that for the most part Ty Dolla $ign has played the role of adding his own element to the primarily the hook of a song. It is also worth noting that most of his major hits have come from either being a feature or having bigger artists on his songs as features i.e. “Or Nah” and “Its a Vibe”. This is not meant to bash Ty Dolla $ign and discredit him as a possible headline artist but instead showcases his versatile abilities as an artist. With this said however this album really showcased Ty Dolla $igns musical and lyrical ability. His last few songs had no features and the songs he did have features on he skillfully added his own element to the song ie “So Am I” where his smooth voice blended well with the caribbean vibe that Damian Marley brings to the song. In all this was a great album and will most certainly have some sort of house party, replay value. It looks like “Culture 2” may be closer than we anticipated, as Migos drop a brand new single that is allegedly off of the upcoming album. “Culture” was Migos’ biggest success up to date with nation wide bangers for days, such as “Bad & Boujee”. 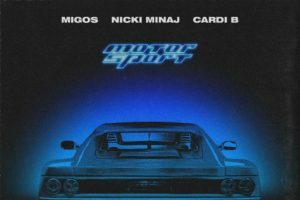 MotorSport, the new single dropped this week, featuring ALL members of Migos this time, Nicki Minaj, and Cardi B. The single is heading all the way to the top and is charting high due to the popularity of the artists. We discussed whether the song was “trash” or not, and if it was just doing the numbers because of the alleged feud between Nicki and Cardi. To be honest we noticed there were some corny bars on this track, and hopefully the rest of “Culture 2” does not all sound like this song. Even if there is no beef between Cardi and Nicki, fans are definitely streaming, downloading, and bumping this track, because everybody wants to know what these artists are saying about each other on the single. We highly suggest you give the song a listen, and decide for yourself whether it bumps, or if it is just doing the numbers because of the artist presence.